My clients are ambitious, have a competitive spirit, and strive to be the best in their industry. They want to be rewarded handsomely financially for the risks they take. They want to have a business they can pass on to successors. Being mediocre isn't in their DNA. During my thirty-plus years in business, I have been diligently working at putting together the pieces of the "business success puzzle," and systematically documenting my findings. After selling our extraordinarily successful family-owned manufacturing company, I started my own business consultancy, Profit Strategies. My quest has been to translate all the experience and knowledge I have acquired in to a system that will help my clients build businesses that massively outperform competitors. Over the last year, I have worked really hard to get to distilling down to what I do best, and the activities that must be performed so I can help my clients achieve the success they're striving for. What I've discovered is a framework that I think is essential to create a sustainable, high performance organization. I've developed this system by tapping in to my practical business experience (60,000+ hours), advising thousands of business owners with both hands on and advisory assistance, academic and informal studies, as well as working with a few exceptional mentors along the way. Through all this, it is my determination that if any one of the following pieces are missing, an organization will not achieve its growth or profit potential. 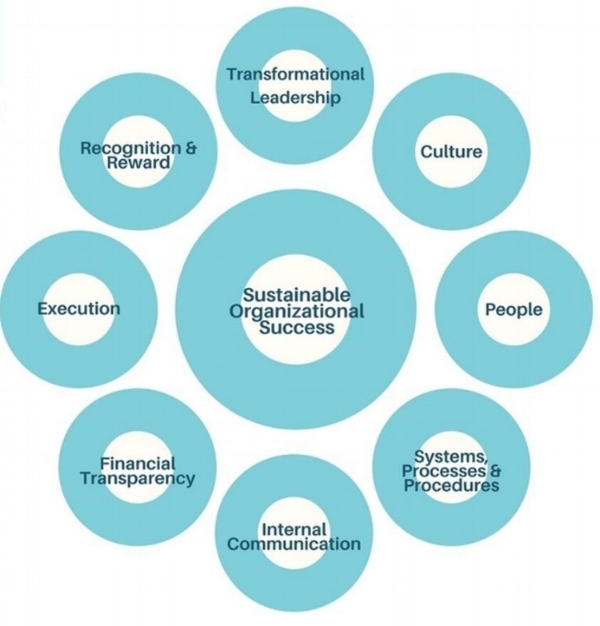 For each of these areas, I have identified key elements that must be addressed in order to make each piece of the framework a high functioning area in the business, and create sustainable organizational success. - Everyone understands the "language of business"
Each of these areas will be addressed more fully in future articles. The rewards for a business leader that systematically addresses these topics are high, and will create an organization that is a leader in its respective industry. If you would like to personally discuss this topic feel free to contact us.